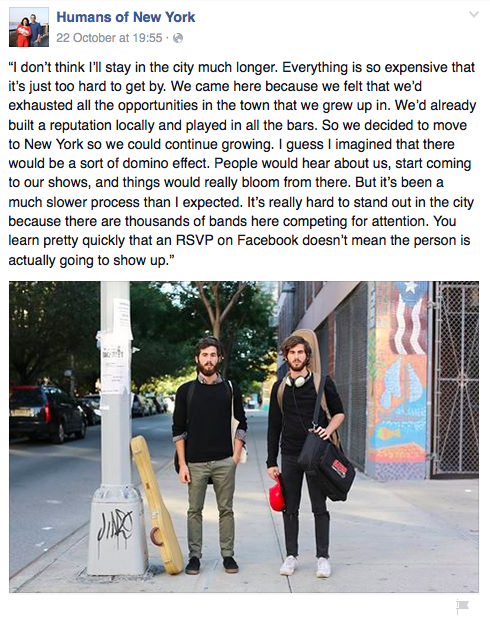 Humans of New York posted the pic above with the boys saying they were not making it in the city and thinking about leave. 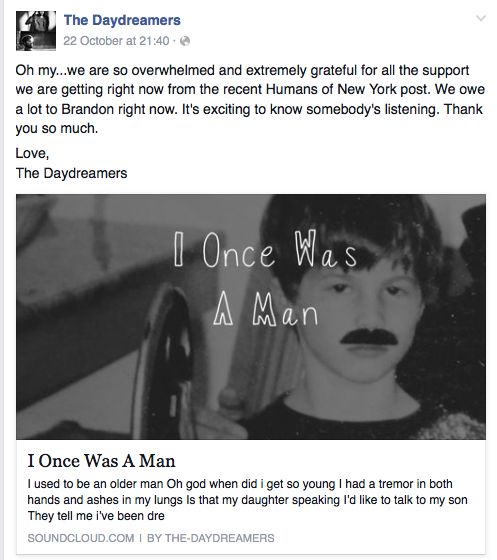 Their group is called The Daydreamers. First time I checked they had 4.000 likes on Facebook. Two days later 47.000. Wow! Seems like all the readers of HONY have gone to like their page, listen to their music and they have even booked new shows. I must say, if I’d live in New York I would be totally going to a concert. Their music is great.